Vitamin D's influence on key biological functions vital to one's health and well-being mandates that Vitamin D supplementation can no longer be ignored by individuals striving to achieve and maintain a greater state of health. 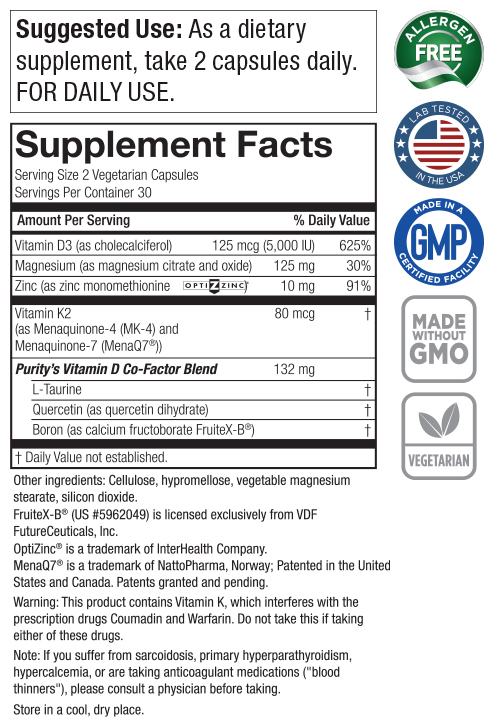 The research on this vitamin keeps coming: cardiovascular health, immune support, bone and joint health, and much more. * This advancement in scientific knowledge about D is especially notable when we consider that we are living in a time of widespread Vitamin D insufficiency. Formulated by John Cannell, MD∞, Purity’s Vitamin D complex is a blend of targeted nutrients to complement many of Vitamin D’s health benefits. Click here for a list of ingredients. I compared this product to other vitamins stores supply and by far this is the best value for the superior ingredients used. This is great product. I can tell the difference since I started taking the product. I recommend this product to any and everyone. I love the fact that this vitamin D supplement includes minerals and vitamins that help the body use the vitamin D. Thanks for a great product. † - $4.95 shipping and handling fee applies. 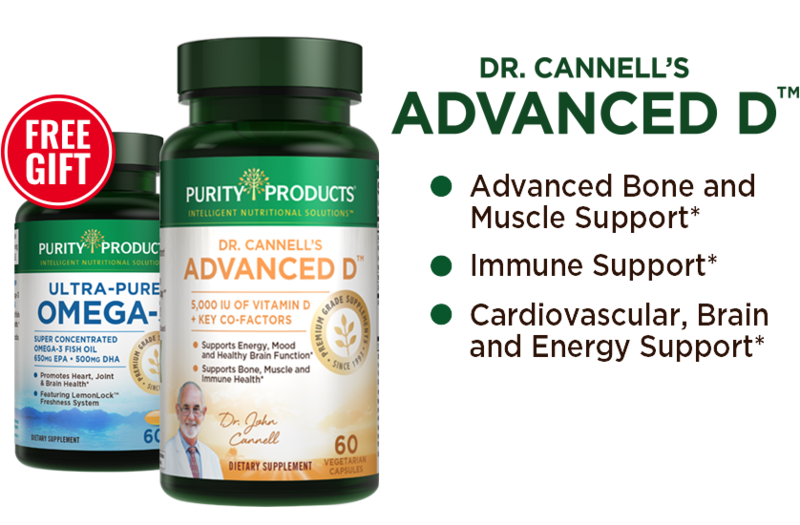 By accepting our exclusive Free bottle offer for Dr. Cannell's Advanced D™ (30 day supply) you will be enrolled as a Super Saver. As a Super Saver, you will receive 3 bottles every 90 days at the discounted price of just $29.95 per bottle (26% off retail), plus $4.95 shipping and if applicable your state and local tax, charged to the payment method provided today. Each bottle is a 1-month supply. Your first delivery of 3 bottles will ship about 3 weeks after you receive your Trial bottle, so you don't miss a day. If you wish to change the frequency, date of shipment or number of bottles on Super Saver, you can sign up for online access or call Customer Care at 1-888-769-7873. Your free bottle of Ultra-Pure Omega-3 is a one-time gift and you will not be enrolled in Super Saver for Ultra-Pure Omega-3.